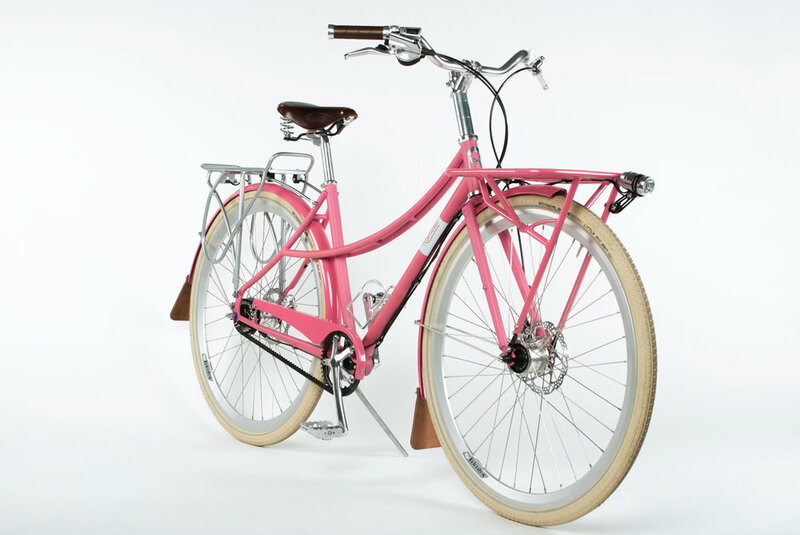 A comfortable and stylish transportation bicycle that is the result of refinements over seven years of production and customer input. It comes ready with standard features that make it the ideal bike for getting around town any time you want to hop on, day or night, rain or shine, or whether you’re dressed up or down. Diamond Frame: A sturdy, time tested frame style. 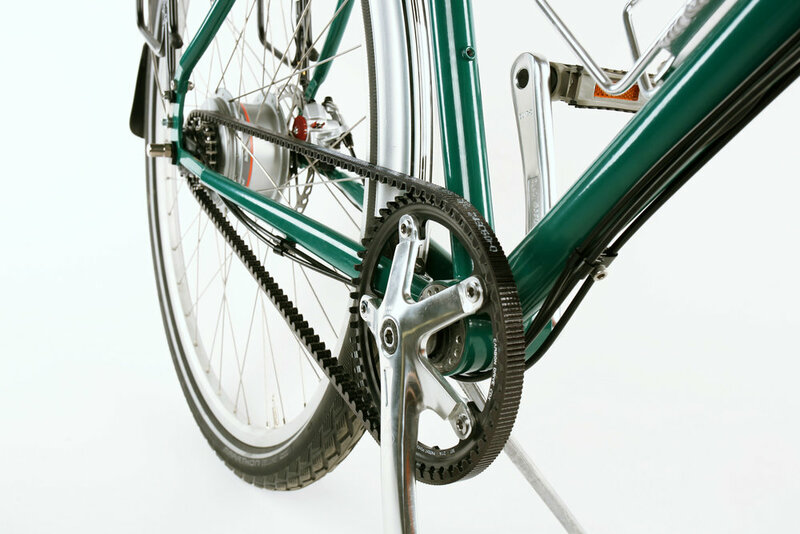 Chain-less Belt drive: With the Gates Carbon Drive, there's no grease, no noise, no rusting, very little maintenance—and it's long lasting. Wired Lighting: Hub generator powered lights are always attached to the bike and shining while the wheels are rolling—no batteries required. Internal Gear Hubs and Disc Brakes: Simple and durable gearing options with powerful all weather brakes. Customizable Style: Choose from a range of colors for your frame and accessories to suit your personal style.